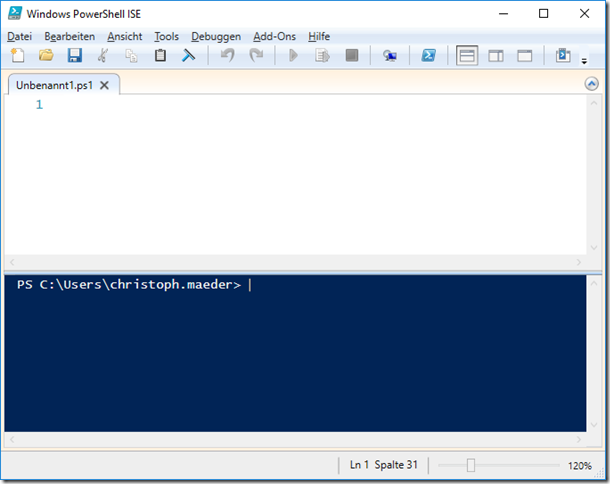 PowerShell & Dynamics 365 (Part ll): Let’s connect! 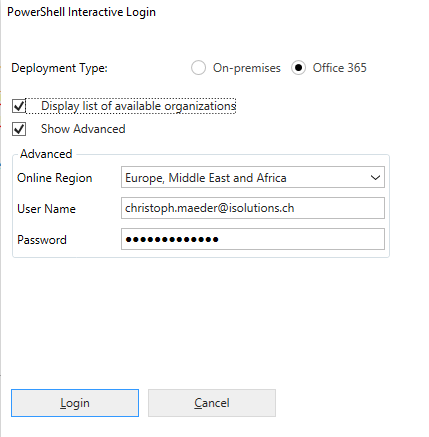 This second part of the series shows step by step, how to setup a connection with Dynamics 365 and create a simple account. 1. 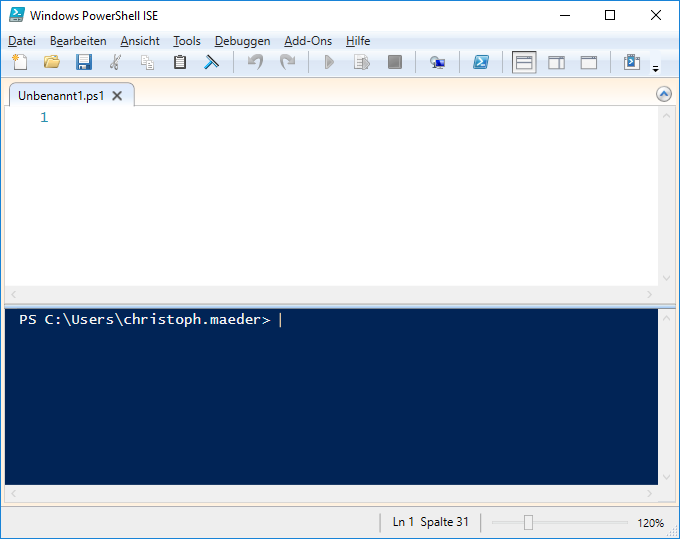 Have a look at Part l to setup the basis. 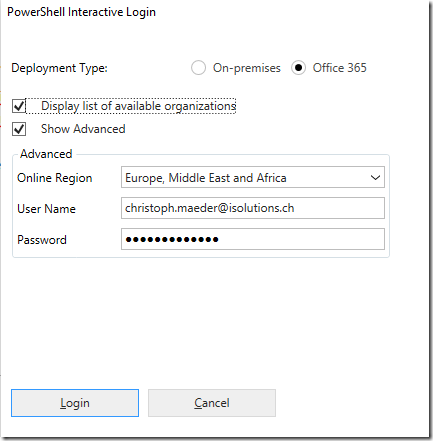 Click “Login” to get the available orgs and then click “Login” again to setup the connection to Dynamics 365.